After signing a General Services Administration lease at its Braddock Metro Center office complex in July, WashREIT is cashing out. WashREIT signed a letter of intent this month to sell the 356K SF office complex, CEO Paul McDermott announced on the company’s Q3 earnings call Friday morning. He did not disclose the buyer or price, but said it expects the deal to close during the fourth quarter. 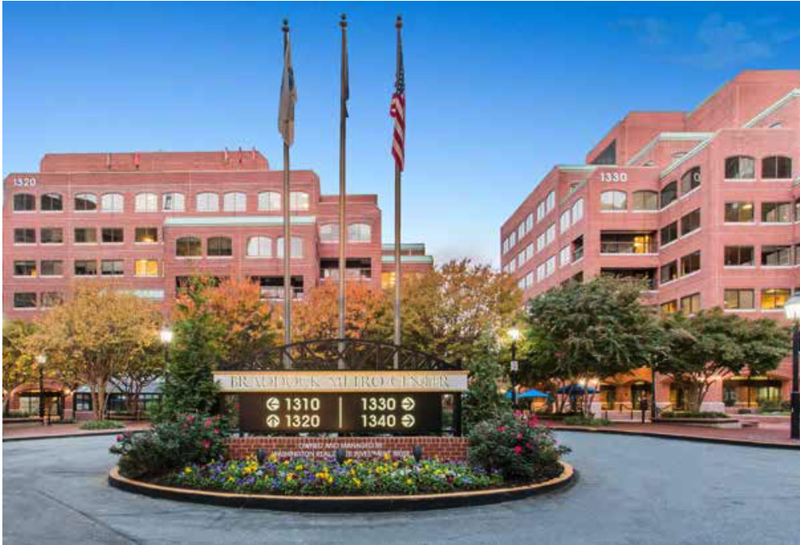 McDermott said the sale continues WashREIT’s strategy of selling out of the suburban office market and focusing on quality buildings in D.C.’s urban core. The CEO said the capital earned from the sale of Braddock Metro Center will go toward its recent $135M acquisition of Watergate 600. It plans to launch extensive renovations on the property, a 309K SF piece of the famed six-building Watergate mixed-use complex. WashREIT acquired the four-building Braddock Metro Center complex in 2011 for $101M. It faced a large vacancy this year with one of its anchor tenants, Engility, leaving 134K SF when its lease expired in September to consolidate into other locations. The landlord got a win in July when it landed a new federal government tenant, the U.S. Department of Agriculture’s Food and Nutrition Service, for 131K SF. The deal also fits with the REIT’s strategy of limiting its exposure to large government leases and instead filling its buildings with small to midsize private sector tenants, McDermott said. The property at 1310-1340 Braddock Place sits just steps from the Braddock Metro station, an area with loads of new development in its pipeline. Jaguar Development got approval in July for a 258-unit mixed-use building, the second phase of its Braddock Gateway development. Jaguar sold the parcel for the project’s first phase in 2011 to Trammell Crow, which built a 15-story, 270-unit residential building that is expected to deliver this year. The project’s third phase would add a 317K SF mixed-use building with 250 to 300 units and 8K SF of retail. Avanti Holdings Group is planning a 100K SF development, likely multifamily or hospitality, on a a nearby site. Also on Friday’s earnings call, McDermott announced the sale of the 212-unit Walker House Apartments in Gaithersburg for $32.2M. He said that capital would also be reallocated to 600 Watergate.